Can I modify the scripts? We are happy for customers to tailor our scripts to suit their own individual needs. If large alterations are going to be made, then we would advise customers to put ‘Adapted by’ followed by the name of their group, along with the source of the script on any programmes, posters and other promotional material. Can I read scripts online? Not the full script. Sizeable extracts of all our scripts can be read online by clicking on the relevant link. Are the scripts suitable for children? This site has been rated using the webmaster’s voluntary SafeSurf rating system. Recent versions of web browsers use this rating in conjunction with the browser’s “child suitability” settings, to block pages which are unsuitable. Check out www.SafeSurf.com for details. All our pantomimes have played to mixed family audiences of all ages. But one should bear in mind that traditional British pantomime, generally includes tongue-in-cheek double entendres and mild innuendo. Plus a pantomime dame, which is usually played by a man portraying a slightly lewd middle-aged woman. Which currencies can I use to buy your scripts? Limelight Scripts is based in the UK and works in GBP (Pounds Sterling). But most customers both in the UK and overseas, pay either by Bank transfer (BACS) or via PayPal. However, we do still accept cheques (see below). Can I send a cheque (check) or money order from outside the UK? Customers in Canada can purchase Canadian Postal Money Orders from the Post Office in GBP – thus avoiding the transaction fee. Some Irish and Australian banks will also provide cheques in GBP. Can we video our shows? Yes, you can. Providing you have paid a videotaping licence fee to Limelight Scripts. Does copyright law apply to your scripts? All our scripts are protected by international copyright laws and using any of the material contained within them, without the express permission of Limelight Scripts constitutes a breach of copyright (copyright also extends to character and plot). Breach of copyright is actionable in a court of law and we will vigorously pursue any breach of our copyrights. For more in-depth information, please see our Terms and Conditions. 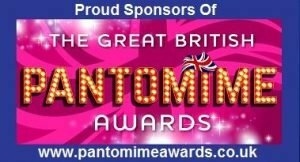 Limelight Scripts are writers and publishers of Pantomime Scripts and are based in the City of Sheffield in the UK. We serve both amateur groups and professional companies worldwide, and are proud to say that our scripts have been performed on every continent.